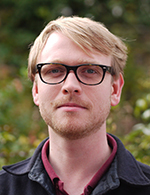 One of SPERI’s Research Fellow, Dr Martin Craig, is part of a team of political economists that has succeeded in winning a highly competitive grant from Riksbankens Jubileumsfond (Sweden) as part of the Europe and Global Challenges funding scheme. The team of investigators is led by Dr Hayley Stevenson (Department of Politics, University of Sheffield) and Professor James Meadowcroft (Department of Political Science, Carleton University, Ottawa). Martin is one of four co-investigators. The project is entitled ‘Ecosystem Services: Valuing Nature in the Green Economy’ and asks, in essence, can, and should, the ‘service’ of the natural environment to the economy be quantified in monetary terms. The idea of valuing nature in monetary terms has become a core element of international ‘green economy’ agendas of national governments and international institutions like the World Bank and the UN. This has been enabled by the widespread acceptance of the ‘ecosystem services’ concept, which tries to capture the value of the environment in monetary terms. ‘Ecosystem service’ are generally categorised as provisioning services (e.g., food, water, timber, fiber); regulating services (affecting climate, waste, water quality, etc. ); cultural services (the recreational, aesthetic, and spiritual benefits derived from nature); and supporting services (e.g., soil formation, photosynthesis, and nutrient cycling). The focus of this research project will be on the translation of this concept into different policies that allocate a monetary value to nature. As this concept becomes increasingly embedded in development planning and economic policy-making, it is imperative to understand the opportunities it creates for environmental conservation and social development, and its inherent tensions and limitations .